Team up with Heavenly and the Barton Foundation to give cancer the boot! Register here! 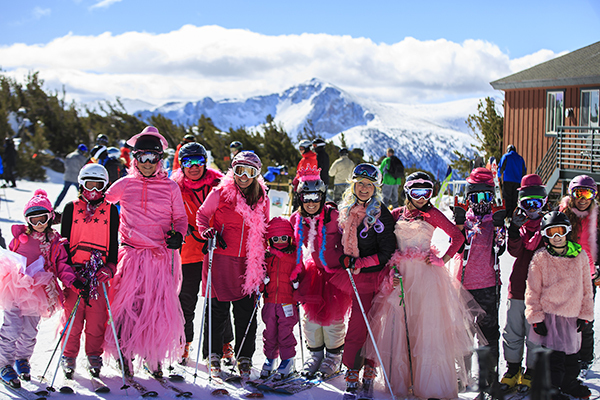 Sign up early to get your team together and help us fundraise and then join us at Heavenly, dressed in your most outrageous pink outfit on Saturday, March 23, 2019, for a day of fun, music and sliding on the snow. Proceeds from this event benefit Barton Health's Cancer Wellness Program, supporting those in our community living with cancer. Join us for the 25th Annual Barton Foundation Golf Tournament! Proceeds from this event benefit the Barton Foundation’s Community Health Endowment, supporting the future health of our community by providing for the critical needs of Barton Health. For more information, call (530) 543-5909. This annual, family-friendly event features Santa, costumed characters, designer, and school decorated holiday trees, a gift shop, crafts, entertainment, a Teddy Bear Hospital, Teddy Bear Brunch and much more!